Take a second and click HERE. The Bishop of Lancaster has made a statement through a press release. In fairness to him, I must post it too. With my emphases and comments. ‘Back in 2010 Deacon Nick Donnelly set up the Protect the Pope website/blog, as a direct response to the campaign of hostility and ridicule from sections of the media and lobby groups against Pope (Emeritus) Benedict XVI’s historic visit to the UK in September of that year. Protect the Pope was particularly successful at this time in articulating a strong defence of the Petrine Office, the Catholic Church, and its teachings against certain secularist and anti-Catholic activists. In the last couple of years, however, Protect the Pope appears to have shifted its objective from a defence of Church teaching from those outside the Church to alleged internal dissent within the Church. With this shift, Protect the Pope has come to see itself as a ‘doctrinal watchdog’ over the writings and sayings of individuals, that is, of bishops, clergy and theologians in England & Wales and throughout the Catholic world. It is my view that bishops, priests and deacons of the Church – ordained and ‘public’ persons – are free to express themselves and their personal views, but never in a way that divides the community of the Church i.e. through ad hominem and personal challenges. [Such as tossing out lines like “Repent!” or personal remarks like the Seven Woes, e.g., “Woe to you scribes and pharisees, hypocrites!”. Not challenging at all. Cf. Matthew 23. Or “Do not think that I have come to bring peace on earth; I have not come to bring peace, but a sword. For I have come to set a man against his father, and a daughter against her mother, and a daughter-in-law against her mother-in-law; and a man’s foes will be those of his own household.” Nothing divisive there. Look, it has been long day and I am just riffing on a theme. ] Increasingly I have felt that Protect the Pope, authored as it is by a public person holding ecclesiastical office (an ordained deacon), has, at times, taken this approach its own posts – but has also allowed for this by facilitating those who comment online. God Bless Bishop Campbell in difficult mandate as one of the successors of the Apostles. We all know that bishops now, more than ever, need the support of prayer. The bishop does not have a combox open, but you can go spike his statistics. It might be a good idea to show him that it is possible to reach a lot of people. Whaddy say? Take a second. Click HERE. This entry was posted in "How To..." - Practical Notes, Be The Maquis, Linking Back, Our Catholic Identity, The Drill and tagged D. Lancaster, Dcn. Nick Donnelly, Protect The Pope. Bookmark the permalink. 36 Responses to Bp Campbell’s Press Release: “I have not closed down Protect the Pope.” ACTION ITEM! I think that the Bishop’s letter makes it sound like a case of censorship, or is it just me? Nevertheless, I did click the link and visited the Bishop’s blog, per the request of our esteemed Fr. Z. My initial impression was to treat it as something similar to the Franciscans of the Immaculate. I think obedience is a most holy attribute, even if the face of iniquity. Especially so, perhaps. I’m not convinced that His Excellency is in the wrong here, despite that first impression, though. I prayed for both of them in my Rosary yesterday and shall continue to do so. I always recall Father Z’s story about his boss, Cardinal Mayer and hoping both Bishop Campbell and his deacon will open their hearts to each other. “It’s nice to be nice to the nice.”—Frank Burns, M*A*S*H. Season 2, episode 16. “Henry in Love”. 1974. After reading the bishop’s letter, I have to agree. Even if the deacon is not personally attacking individuals, those in his comboxes might. For better or worse, he’s responsible for the tone and content of his blog. The bishop is responsible for the flock in his diocese, and the spiritual well being of his deacons. Should my ordinary ask me to pause for a period of prayer and reflection, I would hope I would gratefully do it. I look forward to the return of this deacon’s blog. I am glad that Bishop Campbell has put out this statement but I am not sure that it will silence the comments. I am not sure where the idea came from that Deacon Nick was somehow representing the views of the Diocese – I have read the blog since it started and nowhere is that inferred. It worries me that there is an apparent reluctance to acknowledge the fact that there isn’t just ‘apparent’ dissent but ‘actual’ dissent which goes unchallenged the vast majority of the time, often by those whose job it is to lead us. Is one to understand that we are not allowed to ‘speak the truth in love’ and point out the errors/dissent/heresy? We do our fellow Christians/Catholics no favours if we do not speak the truth, if we do not challenge each other to strive towards greater holiness, obedience to what God wants of us. It was bad enough when those attacks were from the secular elements upon the Petrine Office, Catholic Doctrine etc. but much more insidiously damaging when those attacks upon doctrine, Petrine office, heretical views etc. come from those who consider themselves Catholic. I acknowledge their right to hold these views, and to vocalise them…BUT I think that we also have the right to challenge those views. If one is not allowed to respond then one has effectively been silenced. And as you point out Fr. Z preaching the Gospel is challenging…. Will comment further tomorrow having further cogitated. I read the Bishop’s Blog, at least part of it. It kept crashing the browser on my iPad so I didn’t get very far but I liked what he had to say. It also appears that there is another side to the story of the Deacon’s blog. I hope the two of them get it together. All I can say is if you could set the Bishop’s statement to Bob Marley’s 1974 “I Shot The Sheriff (But I Did Not Shoot The Deputy) it would be perfect. It was all in self-defence, ya’ know? When these unfortunate things happen, I always think one must take a deep breath and stand back, as we are not privy to the entire series of events. I, for one, think that, especially in this day and age of the lack of so many sacramental activities in the Church (like no Adoration in many dioceses and few visits to take the Eucharist to old folks’ homes), that the laity should carry the burden for Catholic investigative journalism. Except for one or two priests, like yourself, Fr. Z., who are needed online for various reasons, I think the local church suffers from too many clergymen who are not paying attention to the duties immediately in front of them. Also, I have warned even the laity about ad hominems, which spoil good argument. Some of the problems on Protect the Pope are not the articles or posts of the good deacon, but rabid readership. I see the church in England and in Ireland tearing itself apart because of infighting and rancor, especially from some trads. I have tried to help some realize that blogging must be done always in charity and in clarity. Excellent sourcing, for example, is a necessity. I think that the taking over of the blog by someone who is lay would be a great idea. We cannot do what the clergy can do and journalism plus commentary falls into the arena of the Church Militant. The fact that the blog was not shut down is an eye opener for many who were bluntly told it was. Taking a break and doing reflection may be an euphemism for “stop”, but one cannot assume so. I hope that all involved can be charitable to both the deacon and the bishop. We really must stop fighting in house. Satan loves this and is having a field day. The Church in England is weak as it is. Would not a quiet silence for awhile been more efficacious in prompting the Gospel? When did niceness become the one and only commandment? As to the original animating concerns, they are almost too incredibly to believe; Protect the Pope never, at least that I saw, had the problems described, its combox did. His excellency appears to have done one of two things: To have imputed the combox to the blog (which is ridiculous because you wouldn’t fault a pastor for things said by his congregation) or to have faulted Deacon Donnelly for failing to close his combox (which is ridiculous because if he ever asked Donnelly to do so, he says nothing about it here, in the very moment in which it would be relevant). His excellency tells us that he asked Donnelly to “‘pause’ all posting on the Protect the Pope website so as to allow for a period of prayer and reflection upon his position as an ordained cleric with regards to Protect the Pope and his own duties towards unity, truth and charity.” Then he tells us that when Donnelly asked to resume posting, the request was denied because “the period of discernment had not yet concluded.” But how long was the period of discernment? His excellency writes that second line as though the first said something like “I asked him to take two months off to pray and reflect,” but it doesn’t. It’s open-ended. So which is it: Is the version of the story he now offers in his defense missing that key detail, or does it faithfully report to us that the version of the story he gave Donnelly in March was missing a key detail from which Donnelly was then hung by the neck in April? Perhaps Eric Clapton’s version of ” I Shot the Sheriff” (with words) might be more familiar to most. Yes, it’s completely implausible that anyone could think Nick was representing the views of his diocese. I think it’s more likely the Bishop regrets that Nick isn’t representing the views of the hierarchy of E&W. As for the request not to name ‘individuals in the Church of opposing views’ – that would be opposing views to, erm, Catholic orthodoxy? Aka, dissent, heresy, secularism, that kind of thing? No can do, Bishop. Freedom of speech is a tradition that is reawakening in England – aided by the Catholic and Universal Internet – after a period of slumber. The blogosphere genie has escaped from the stoppered diocesan and archdiocesan bottle, and has flown all round the world. I actually started reading Bishop Campbell’s blog a while ago. It is never polemical, but it is often edifying. Bishop Campbell is an advocate of frequent confession, Eucharistic adoration, pilgrimages, and Marian devotion, and he is proud of the history of recusant Catholicism in the diocese of Lancaster, including the martyrs the diocese produced. I think that prayers for the Bishop and for Deacon Nick are an excellent idea. Although the Bishop has no legal or canonical ability to shut down a blog, or even suspend the deacon for posting personal opinions which are orthodox, I hope that the Deacon might work to take his blog in a different direction. There is no need to agree with the Bishop, but there is also no need to antagonize him either. I think I would be OK with this approach – if it were applied evenly. I think the frustrating part is that the policy of niceness only applies to non-Catholics and (most frustratingly) openly dissenting Catholics. When it comes to someone who actively defends the Faith, then it no longer applies. Deacon Donnelly is expected to be nice and avoid confronting dissenting Catholics or clerics who fail to defend the faith as they should. It would be unthinkably unpastoral to silence or even confront such a person. Yet, it is there is no problem silencing Dcn. Connelly. That having been said, a part of me wishes that Dcn. Connelly had kept a little quieter, let the issue blow past (if that is possible) and gone back to blogging. Obedience to the Bishop is important. Perhaps publishing the conflict was not the best approach. I don’t know. I’m divided. By the way, I did visit the bishop’s blog. Like other bishops’ blogs I’ve visited, it is good with nice pictures and nice points to consider. As per my comment above, I can understand completely why many bishops would want this kind of a blog for their public front cover. It makes sense. Yet, I would think that these same bishops would be happy to let others do the more engaging parts of public dialogue – the parts that might leave a less-than-pretty image. I guess not. I live in the diocese of Lancaster (UK) along with +Campell and Deacon Nick. I am no apologist for bishops behaving badly (as a brief look at items tagged ‘bishops’ in my blog will confirm). However, I think that our Bishop, +Campbell, has been misunderstood, and even misrepresented and defamed by many on the blogosphere over this. He had concerns over the tone of Nick’s blog, and particularly the combox. He asked Nick to carry on with his good work, but ensure that due charity was observed, as he is an ordained deacon. He believed that was not happening, so asked Nick to pause, reflect and pray. Nick asked him if he could resume, and +Campbell said the period of prayer and reflection was not yet over. Nick decided to close the blog, and announce that the Bishop had closed it. Nick also, on Twitter and Facebook, publicised a very large number of hostile commentaries, accusing his bishop of all manner of things: and I think the bishop’s impatience with that approach is also discernible in his statement. One might disagree with the Bishop’s judgement over this, but for myself, I am pleased that a Bishop takes seriously his responsibility for what ordained ministers do and say in his diocese: I only wish many more would do so, with particular reference to heretics and dissenters. It should be noted that +Campbell is no liberal time-server. He encourages Confession with his ‘The Light is On for You project; he has invited excellent and orthodox nuns into the University Chaplaincy; he hosts a monthly Traditional Mass in the Cathedral (and continued it when he had a first-class excuse to stop it) and has even invited the Institute of Christ the King (dedicated to the Traditional Mass) to run a large and prestigious Church in Preston. By all means go after Bishops who are remiss – but let us not savage those who are doing so much better than so many of their peers. Moderated comments can be made on his Lordship’s “About” page. I left a short and polite note saying I found his website through you, Fr. Zuhlsdorf. Call me skeptical, but His Excellencies comments don’t inspire me with much optimism. He says he asked the Deacon to cease posting, apparently to enter into some time of prayer and reflection, but didn’t apparently then and does not now seem to have any particular time frame in mind. Nor does he appear to have any particular guidelines in mind for what circumstances need to be met in order for the blog to “return to duty”. In other words, I read the bishops comments as a polite way of saying he’s shutting down the blog in practice, just technically not issuing a formal cease and desist directive. It may not technically be shutting down the blog, but it may as well be so for practical purposes. I was very surprised to hear that Bishop Campbell had not in fact closed down PTP and I detect a hint of sadness in the Bishop’s letter. The spiritual sons of Bishops are his Priests and Deacons and it is sad that Deacon Donnelly went public with his frustration in this matter. There has been another situation in the UK over the last year that involved a disagreement with a Bishop (and petition to Rome) and that resulted in a massive walkout from a very respected Institute of Higher Education. As a former student, I have no idea what to make of the whole thing because I only know part of the story and I am sure, knowing the people involved, that they didn’t do this lightly, I have great respect for them. However, it is such a shame and I hope that going up against the Hierarchy will not start to backfire on people who have good intentions. Ben Trovato, thanks and I agree with much of what you said. Those who want to create “sides” do not help the Catholic cause in Britain. And, I meant to write “promoting” the Gospel above. My eyes are not working together yet. The Church in England is ripping itself apart by people not loving first, but wanting to be right first. Being right is a great virtue, but love must be part of the presentation of information. Demonizing clergymen does not help the Catholic Faith in a country where there are more enemies than friends. Too often on blogs, bishops, cardinals and even the Pope are so demonized. This type of response to words or events not only does damage to the Church, but to one’s soul. Deacon Nick did not fall into the worst of polemics, but I do not think a deacon should be an investigative journalist. That is not his vocation to the Church. I hope some good, rational and professional laity do the blog. Part of the problem is that two generations have not learned debate or argumentation, but only react in knee-jerk manner.to situations and words . His Lordship may, or may not, have had good reasons in Church policy to use the obediece his clergy owes him to close the blog down. But (being a hopeless dreamer and unrealist) I think that if so, he had better say he did close it down. We all know that in the Catholic Church, censorship is not a term of abuse but an honorable name of an in principle necessary thing (the extent of it is not the point here); but I still think if a bishop censors, he should call it censorship. Then, to be a ‘doctrinal watchdog’ over the writings and sayings of individuals within the Church may not be as honorable an occupation as defending the Pope against attacks from the outside, but honorable still it is, in principle. So… all in all… what the dear SimonDodd said. In fairness to +Campbell I can understand why there would be some real-world concerns. The fact that Deacon Nick (who I greatly admire and whose blog I often followed) is well known as ‘Deacon’ Nick of the Diocese of Lancaster is akin to having a blog “Protect the Rule of Law” by Alabama State Trooper Rusty Eversharp (hope there is no such real person). Whatever Trooper Rusty may say or allow in the ‘com box’ will leave not only old Trooper Rusty but the State of Alabama open to criticism but also civil liability. God bless clerics like yourself, Father Z., who wade into the mire in order to inform, advise, and draw out a range of thinking on various subjects. If the ‘com box’ was Protect the Pope’s undoing (which it may or may not have been…the explanation seems too easily remedied) then the opinion and news of the blogger (sans the title of ‘Deacon’ in the byline) could have been offered without permitting comment while allowing e-mailed responses, a few of which might be published after careful review. I would have a clear disclaimer that the opinions expressed were those of the blogger and only the blogger and that the approval of no other organization or individual or entity is implied or intended. one thought though – several commenters in various places seem to have highlighted the problem seems to be with some of the comments made on the PtP blog site and Twitter/Facebook. If one moderates/deletes all these allegedly adverse/critical comments, how can one be seen to be engaging or dealing with these dissident voices? For example – I used to shut the door in the face of many Jehovah’s Witness door step evangelists who came to the door of my home, the equivalent of ‘deleting’ said comments. It was pointed out to me that a) this was very rude and discourteous b) unchristian and c) how could one evangelise them with the true Gospel without engaging in dialogue with them. However I had to allow them to have their say before I could begin to answer from a Catholic standpoint, which meant that it did invite quite a lot of anti-Catholic sentiment. Further the fact that there are many such ‘dissenting voices’ – the disunity is already there. Hiding it by deleting the comments,or not commenting upon it oneself does not mean that it either goes away, or does not exist. Highlighting it, engaging those who hold those views, surely is the first step to encouraging them back to the true Faith. I am very glad that it appears from his blog and info given by others that Bishop Campbell is a very orthodox fellow and that the same goes for the life of the Church in the Diocese. I shall continue to pray for both Deacon and Bishop and the healing of their relationship. I also hope and pray that they can also talk about the blog, because it is essentially good and it would be a terrible shame for it to close. Supertradmum, you say: The Church in England is ripping itself apart by people not loving first, but wanting to be right first. I disagree and I think it’s overgeneralising to say that the Church in England is ripping itself apart. The vast majority of Parishioners in the UK are quietly going about their “Parish lives” and do not involve themselves in Church politics, there might be some problems caused by Parish Councils having a little bit too much influence, but that can be said of any Parish, anywhere. I regularly travel back to the UK and sometimes it’s a breath of fresh air to visit an ordinary Parish far from the battles my own TLM community are fighting. Who protects the sheep when the shepherds turn into wolves? A blog is a poor way to do that (to say nothing of comboxes). But these blogs have sprung into being precisely because the Church leadership has failed to act. And make no mistake: some of these dissenters are wolves. They must be treated as such. Souls are at stake. Once upon a time, not long ago, most bishops realized that. I was in England, once. Might I suggest that this situation could be fixed if everyone, there, drove on the right side of the road :). There. Solved that! I mean, I can understand the secret urge of people in England to be in the right. The bishops’ statement is rather sad. To say he has not closed down the blog is, well, just not true and shows the reaction of an unsure and insecure man, bishop though he may be. What we are seeing here is the classic reaction to new phenomena, as I already said, just as so many of the bishops predecessors reacted to printing all those centuries ago. I jokingly advised Fr Z to watch his back the other day. Now I’m not so sure it is a joke. Perhaps I should also pass the warning on to at least three other clergy bloggers whose sites I visit. So to all of you clergy bloggers, watch your backs. Use “Reacher” tactics. Double back frequently. Use shop windows to see behind you. Watch out for men in blue clerical shirts with tiny expose bit of white collar and hats pulled well down, in cars three spaces behind – they never drive directly behind. I am certainly *not* disagreeing with the Bishop. I’m just not agreeing with him. As a wise “traditional” pastor has said to me quite a number of times, it’s not so much what you say as how you say it. Deacon Donnelly’s how seems to be what his bishop objects to, at least principally, but Bishop Campbell seems to be under fire for allegedly objecting principally to the what. The feature of the Bishop’s blog that I find most striking is its photographs, which are superb (but the quantity of which may have been responsible for crashing OP TopSully’s iPad browser). As for whatever infernal goings-on there may be in D.Lancaster — and one is given to believe there may be plenty — let us pray that those responsible for the care of souls will summon the courage to tell the truth in boldness and charity, from the top down. The kerfuffle over Deacon Donnelly has become a sensationalistic distraction which ill bears repeating. Interesting that some have noted Bishop Campbell’s orthodoxy, it’s certainly not something he is famed for in the rest of England. There is a tendency in traditional circles however to compare Bishops rather than give them an honest appraisal. The point of the blog surely is to Protect the Pope. Since ACTA clearly teaches dissent (that used to be called heresy, folks) from obedience to the Magisterium (and therefore to the Pope) I fail to see how there can really be any defence of the Bishop’s actions. What he more or less said is that he does not feel that an ordained minister in the Church should criticise those who wish to destroy the teachings of that church. Far be it from me to criticise the Bishop, but sometimes you have to tell people that they’re wrong and that they need to repent. 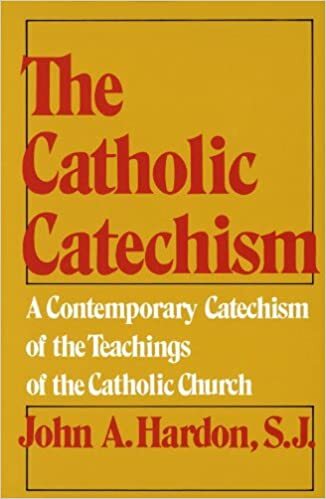 Such a shame that is was targeted at those arguing for the Church, since the bishops of England have manifestly failed to deal with those “inside the church” who argue against its doctrines…. Too late…. PtP blog RIP.